CBD Oil Review rates Milagro CBD with two stars because it qualifies for the Quality & Mission Badges. 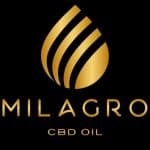 Milagro CBD hails from Ireland and has developed an impressive European presence. They use minimal ingredients in addition to their full spectrum extract, something we highly appreciate. Too often, purveyors in the hemp space add a traffic jam of additional ingredients that are not only superfluous considering CBD’s natural benefits, but many times counteractive to these benefits (think natural and artificial flavors, preservatives, etc.). Instead, Milagro CBD is committed to purity and potency. We simply need to see more effort in certain fields to award the brand more badges. 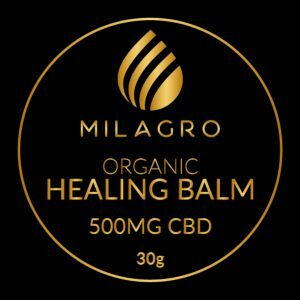 Milagro CBD is based out of Ireland; they have a London office and their products are carried in numerous retail locations across Europe. We know little about their backstory, as any anecdotal mission or information on the team is absent, but they claim to be “the purest and best tasting premium CBD oil available on the market today”. Their sourcing appears clean, extracting their CBD from organically grown European hemp supposedly bred for high CBD content. Apparently, the company only works with sustainable farmers passionate about CBD. Milagro CBD utilizes supercritical CO2 extraction and distills their oil twice. They promise zero fungicides, herbicides, or chemicals of any kind, and we bet they back up this promise. But there’s an issue with their test results. Milagro CBD only has independent lab findings posted for one SKU, and they do not include contaminants findings, only the cannabinoid profile. For this reason, we have to hold off awarding them the Safety Badge. Milagro CBD offers premium, full-spectrum CBD oil in three concentrations. We’re a bit confused as to their carrier oil since they do not list an additional ingredient with these tinctures, but we think they use organic hempseed oil. They also offer a rich CBD healing balm with organic coconut oil and organic calendula oil. Milagro CBD proudly insists their disposable vape pen has “maximum milligram potency” and does not contain PG/VG. But their CBD e-liquid liquid lists PG/VG as an ingredient along with terpenes and 100 mg cannabinoids. Milagro CBD sells appealing gift sets, and while they have an online pet category, they do not manufacture products specifically for pets but rather provide dosing information on their oils for dogs, cats, and horses. Finally, they offer a CBD test kit for personal use to detect cannabinoids in buds, leaves, and oil. This is a great item for the CBD enthusiast, and it points to the purity of their products which they obviously stand firmly behind. 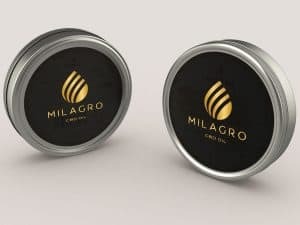 Bottom Line – Milagro CBD has potent CBD products that cater to the European market. Due to the EU’s mandate on organic agriculture, we believe their formulations are safe; we just need to see the physical proof from lab tests to award the Safety Badge. They could also use some work on charity and innovation to improve their score with us. Milagro CBD sources organically grown European hemp and uses CO2 supercritical extraction. Milagro CBD believes that what nature has given to us should be preserved and focuses on purity and potency.